Health Care Career Exploring is a hands-on program open to students ages 15 to 20 years old with an interest in learning more about careers in the fields of health care. The first-ever Health Care Explorer Post in the Beatrice area is holding an open house at 7 p.m. Monday, Oct. 15, at the Villa Conference Room in the Flowing Springs division located at 2211 Sunset Dr. in Beatrice. The meeting will last approximately an hour and is an opportunity to learn more about the program and to pick up an application. 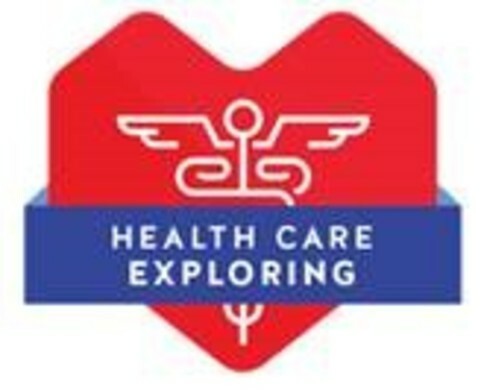 This Health Care Explorer Post is a program of the Boy Scouts of America Cornhusker Council and sponsored locally by Beatrice Community Hospital and Health Center. Participants will get to participate in hands-on projects to get a real feel for whether a health care career will be the right fit, an opportunity to network with professionals who work in these careers every day, and get real-life advice on how to prepare now for a successful career in health care. The application period will begin at the open house on October 15th and will close on October 29th. The Open House is hands-on event with fun activities and an opportunity to ask questions about the program. If you cannot attend the open house, you may stop by the Human Resources office at BCH, to pick up and/or return your application. Registration form, this can be acquired at the Open House, at the Human Resource office at BCH or from the Beatrice High School Counseling Center. Signed Permission Form (ages 15-17 only). Signed background screening authorization form (ages 18+ only). Letter of recommendation from a counselor, teacher, coach, principal, etc. (not a relative). 1st year Registration fee is paid for by BCH. Once approved for the program, your Health Care Explorer Membership is good for one year. Explorers are required to attend monthly membership meetings. Meetings are conducted by the Health Care Explorer Coordinator and feature educational presentations by health care professionals and interactive hands-on activities. Meeting space is limited and reserved for Health Care Explorers. Parents/Guardians/Friends can wait at the meeting facility in public areas during Explorer Meetings/Rotations. For safety of our patients and program participants, accompanying an Explorer on unit rotations is not allowed.